IHA gives IMPD access to over 400 surveillance cameras. INDIANAPOLIS — The Indianapolis Housing Agency is giving metro police access to its entire network of surveillance cameras across the city before the start of summer. 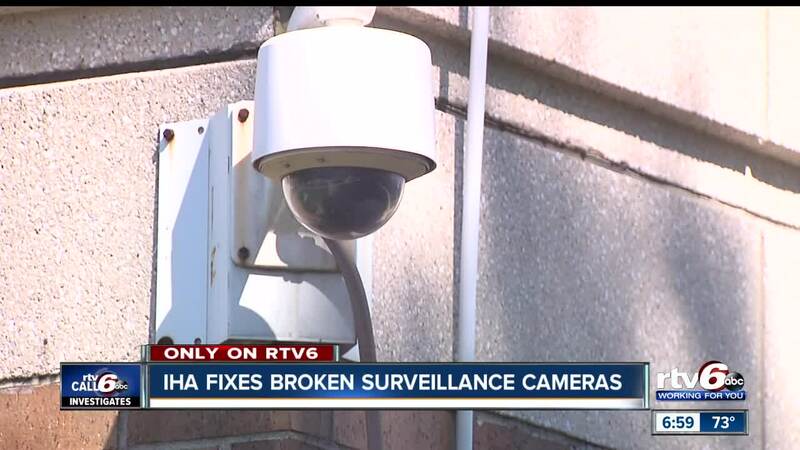 The partnership between police and the IHA comes as the agency repairs dozens of surveillance cameras that were out of order. Now, IHA Executive Director, John Hall, says only nine cameras remain down after a Call 6 Investigation, which exposed internal agency documents that for months detailed a long list of broken cameras with nothing being done about it. "These are things we are putting into place to ensure public safety is addressed and resolved in the most effective and efficient manner," Hall said. From cameras to cash, Hall has found the agency in a financial mess and says clean up will take time. The director says he wants more training for employees and will make changes if people don't do their jobs. "It's a new day. We have to produce. I'm committed to giving people the opportunity to show that they can lead - they can administer and also committed to providing training that is necessary," Hall said. "But at the end of the day, we all have to produce." More to come on RTV6 regarding the security cameras.